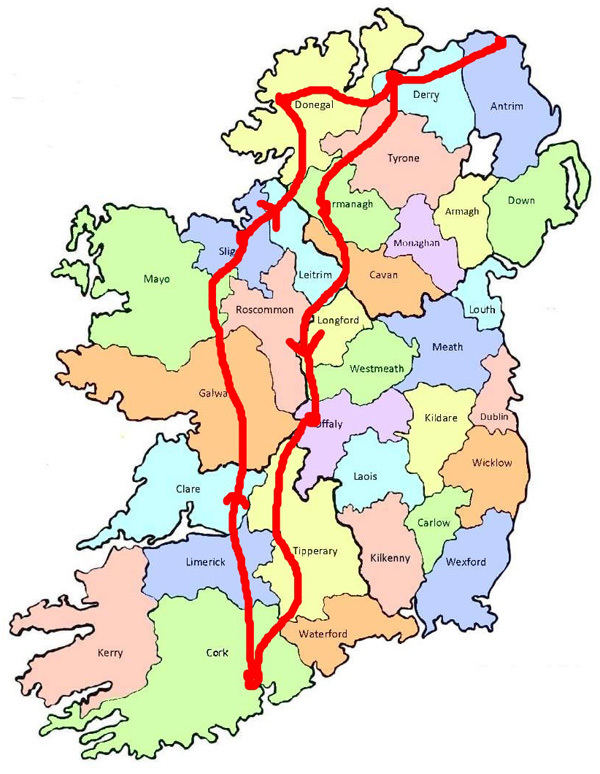 The route we took – 17 Counties in total! A few weeks back we went on a road trip from Cork to Donegal and back – covering 17 counties in all. When we came back we wrote up a number of posts in our weekly newsletter (see to the side of this post if you want to sign up for free) – and these were some of the MOST popular newsletters we have done so far. So, we decided to include them here on the blog. I hope you enjoy – spot a name or two you recognise – and DO feel free to leave a comment or question at the end of the post. We got back late last night from a great road trip during which we covered 16 counties across Ireland. We traveled from south to north and back down again – I’ve added a map of the journey above this post. And that’s what I’d like us to talk about today – the Counties of Ireland. Which county in Ireland are your families from? Whenever I ask that question – the answers come in by the tens and hundreds! We all seem to have a very strong emotional tie with the counties of our heritage. But let’s get it straight – counties were put into place as a means of administration. A way to divide land for taxation and grant purposes. Today, however, we’re going to stick with the stories of the counties – the names and families associated with each. Now, don’t worry, I won’t keep you here all day going through all of the 17 counties we traveled through – we’ll start with the first 5 counties on our trip this week – and then cover the others over the next 2 weeks. Remember that before the arrival of the Normans in the 1200s – there were no counties in Ireland. There were five provinces and a whole string of independent kingdoms. In general, counties were made by combining smaller Gaelic territories in a way that suited the English administration at the time and had little to do with older tribal boundaries. Cork is the largest county in Ireland. Before it became a county in Ireland, it was part of the Kingdom of Desmond – ruled by the MacCarthy family and their princely septs of the O’Sullivan, O’Donoghue, O’Callaghan, O’Keeffe, McAuliffe, O’Donovan, O’Mahony, O’Driscoll, O’Crowley, MacSweeney, O’Leary, O’Healy, and O’Riordan. 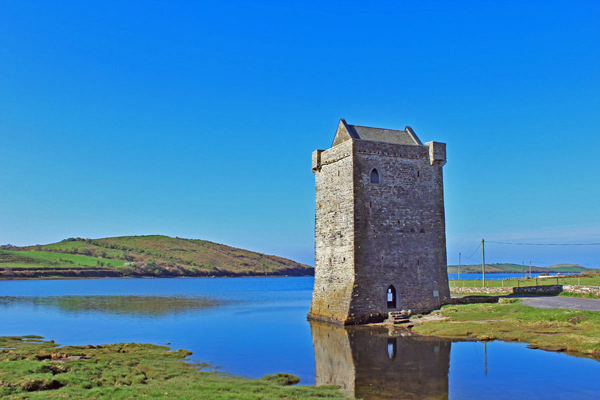 After the Norman Invasion in the 12th century, the McCarthy clan were pushed west into what is now West Cork and County Kerry and the north and east of Cork were taken by the FitzGeralds , who became the Earls of Desmond. They had a number of Norman families under their lordship such as the Roches, Condons and Barrys. 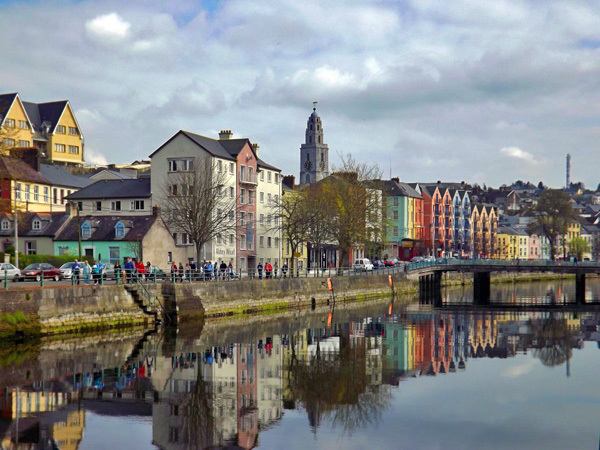 Like many of the counties of Ireland – County Cork gets its name from its main city – Cork comes from the Irish “Corcaigh” which means marshy ground. The County of Cork was “shired” by the 1200s but officially created in 1606. From the 4th to the 12th century, the ancient Gaelic kingdom of the Uí Fidgenti was approximately the same as the modern County Limerick. After losing an two century conflict with the neighbouring O’Briens of the Dal gCais, most of the rulers fled for County Cork (the Collins’, O’Donovans and so on). Their lands were almost immediately occupied by the FitzGeralds and other Norman families such as the Delaceys, and Burkes, who permanently prevented their return. Limerick City – which gives County Limerick it’s name – was founded by the Vikings in 922. 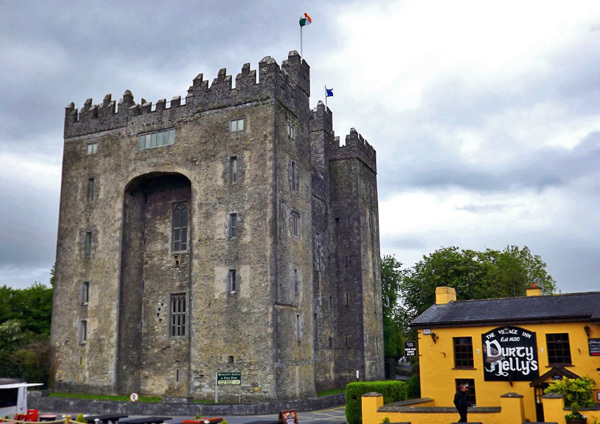 The County of Limerick was shired by the 1200s by the Normans – but only officially became a county in 1609. 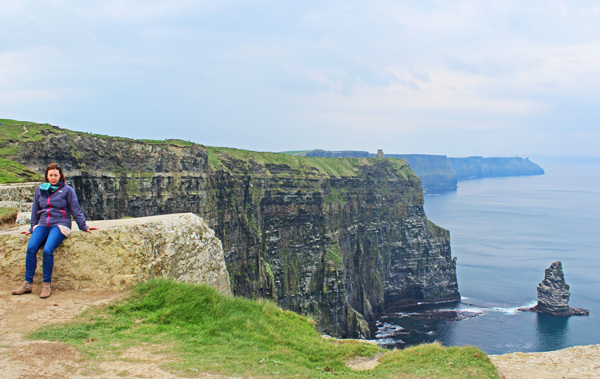 County Clare was originally part of the Kingdom of Connacht ruled by the Uí Fiachrach Aidhne tribe, but was annexed to the Kingdom of Munster and settled by the Dal gCais in the mid-10th century. It was renamed Thomond, translating as North Munster. This was the time of Brian Boru – the most famous High King of Ireland. 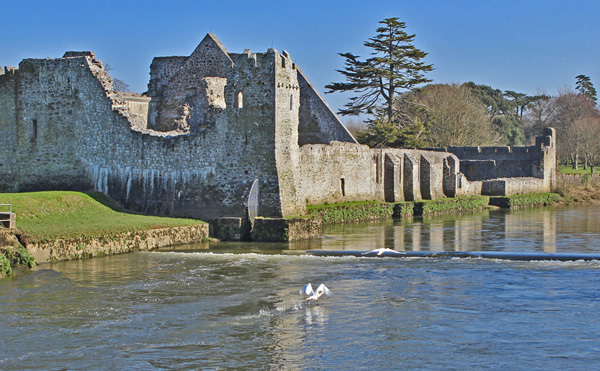 From 1118 onwards the Kingdom of Thomond became the stomping ground of the O’Brien Clan. The various families associated with the O’Briens were the O’Dea, McMahon, McNamara, McGarry, O’Grady, Hogan, Considine and Lynch families. 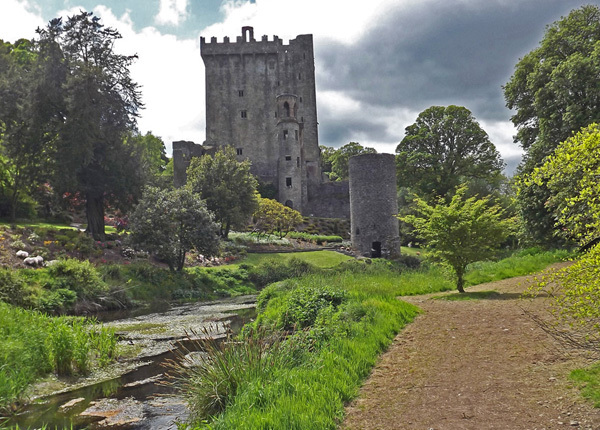 One of the most striking things you notice as you travel through County Clare are the sheer number of castles. They seem to come up every couple of miles. This usually indicates just what a volatile area this was – with lines of power under constant challenge between the various families and the nearby Normans. Thomond was handed over to the English Government in 1543 and the area became the county we know today as Clare. 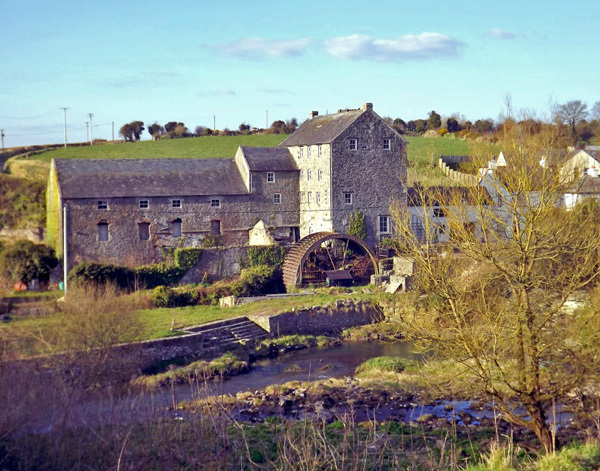 The name Clare comes from the Irish “Clar” – and is derived from the area around the modern town of Clarecastle. Nowadays, Galway is part of the province of Connaught. However, if we go back to the time to before the arrival of the Normans – there was no County Galway – but there was the Kingdom of Connaught. And this Kingdom was ruled over by the O’Connors. 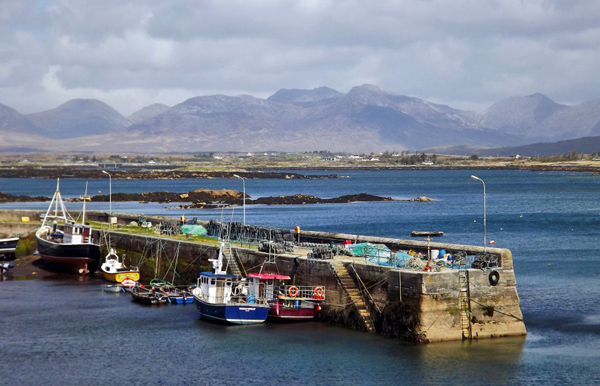 Iar Connacht or Connemara – which was a kingdom ruled over by the O’Flahertys. In 1556 the Kingdom of Connacht was broken up into the County of Galway was formed. Our final county for today is …. 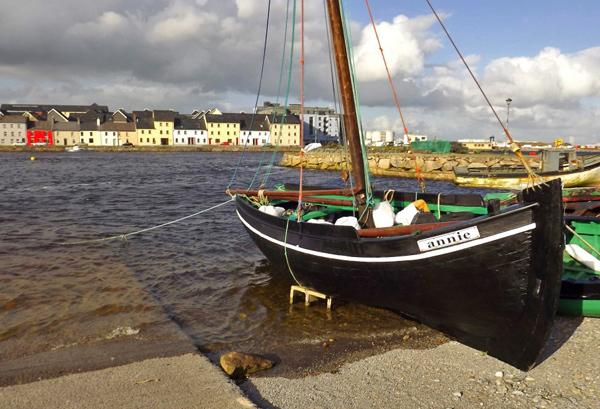 Like Galway, County Mayo was originally part of the ancient Kingdom of Connaught. The chief kings in the area at that time were the O’Malleys and O’Dowds. 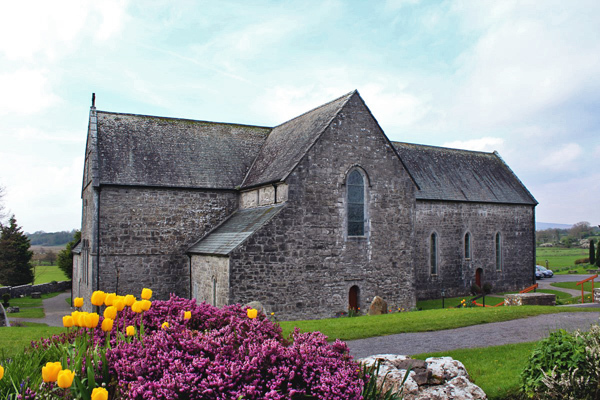 Funny enough, there is a Mayo Village which gives the county it’s name – but all that is left of this village are the ruins of Mayo Abbey. 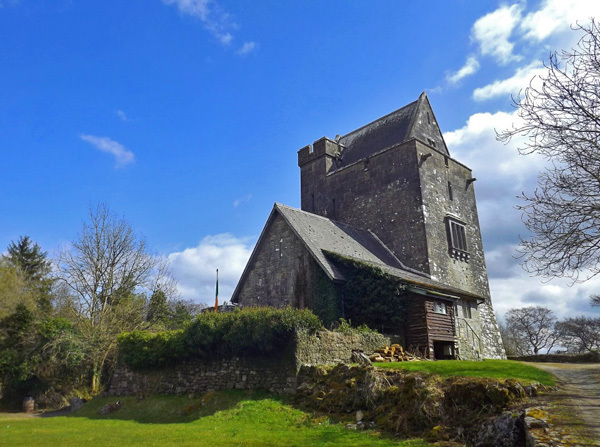 Maigh Eo means “plain of the Yew trees” – the Yew being a tree that’s often associated with churches and abbeys. County Mayo came under Norman control in 1235 AD – and this Norman control meant the demise of many Gaelic lords and chieftains, chiefly the O’Connors of Connacht. 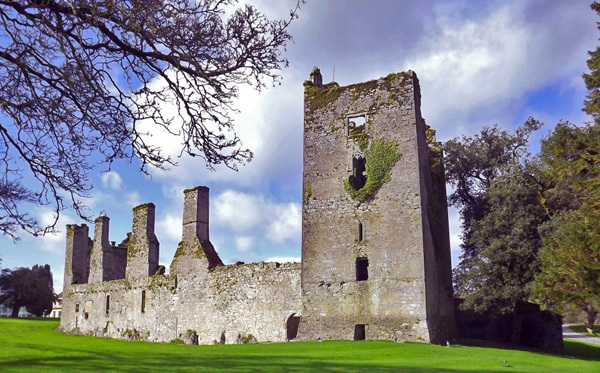 During the 1230s, the Normans under Richard Burke invaded and settled the area introducing new families such as Burke, Gibbons, Barrett, Staunton, Prendergast, Walsh, Morris, Joyce, Costello and Price. These Norman names are still common in County Mayo. 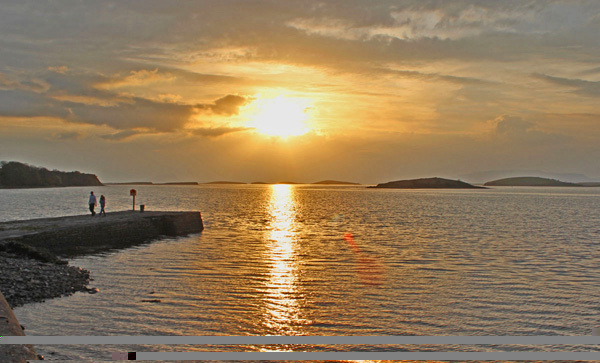 Like Galway – County Mayo was formed with the breakup of Connaught in 1556. 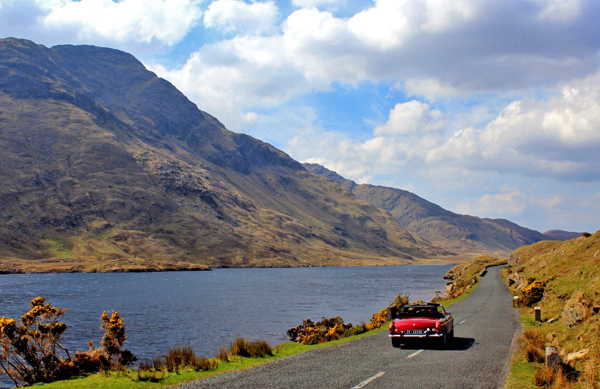 See Part 2 of our 17 County Roadtrip of Ireland. This post is an excerpt from “A Letter from Ireland”. Now available to buy in Paperback or Kindle version on Amazon. My husband’s great grandmother on one side was a McCarthy. My mother’s family came over from Miltown in Clare, but may well have originated elsewhere in Ireland. Hi Ann Marie – Longford is one of the counties on our tour! I’ll put an “episode” up each day. Will do the Longford stretch in a couple of days time. Mike. Another great bit of history that I’m so thankful for. Looking for ward to Longford reading about Longford. Hi Patricia – thanks for the feedback and positive comments! Mike. Do you know much about the name ‘Brandon’ (surname), I come from Brandon on my mothers side and Byrne on my fathers..
Hmm Brandon – in Kerry they are a branch of the Norman Fitzmaurices. They were also a later English name introduced into Ireland in other parts of the country. Mike.